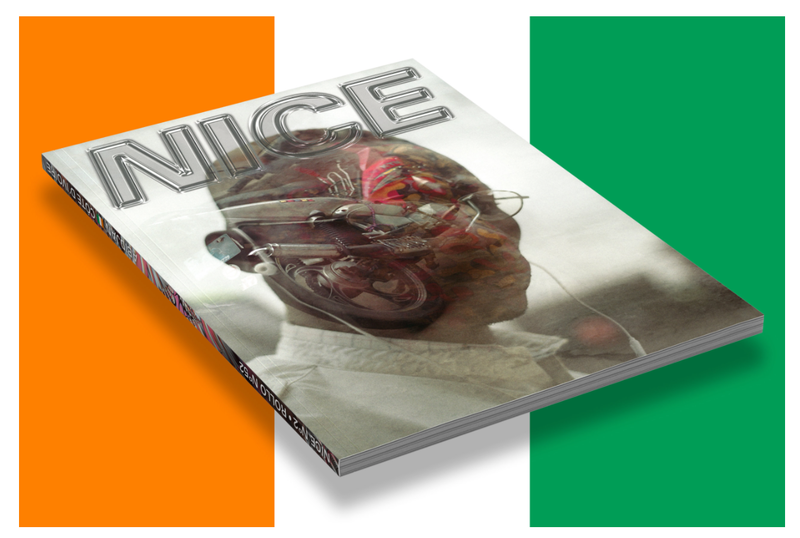 Next Thursday, April 19, NICE Magazine will be a guest of Urs Lehni in Chapter #5. We are very happy to have three of the artists from Ivory Coast with us, who contributed to the current issue from Abidjan – Cédric Kouamé, Sarah Jelly Kouablan and Theophany Adoh. Together with the collective’s founders and art directors Hammer (VCFA’s Sereina Rothenberger and David Schatz) they will discuss the creation process of the latest Nice issue and the importance of local and international cooperation for the practice of young African artists. In addition, the three photographers from Abidjan provide an insight into their daily work. The event is hosted in the bookstore at Kosmos. We invite you warmly to attend the talk and look forward to sharing this evening with you. Subsequent to Chapter #5 Motherland calls from Abidjan at Kosmos Club! DJ African Diplomat (Brussels/Abidjan) plays Highlife, le Ziglibithy and Afro Funk for us from Côte d’ivoire, Ghana, Nigeria and Mali. He is accompanied by singer and guitarist Theophany Kibezkhy (Abidjan), followed by the spinning turntables of Zurich’s Motherland Soundsystem. On va bouger jusqu’à fatigué!